Our custom cabinet solutions range from a diverse selection of vanity bases and floating shelves to diagonal sink bases and tower wall cabinets. 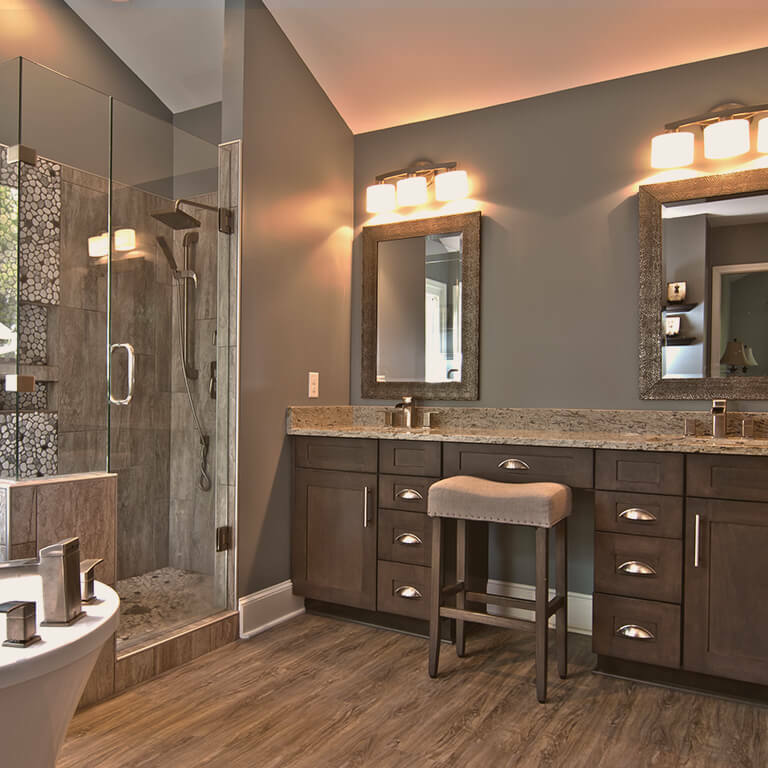 Marsh Kitchen & Bath has everything you need to fill your bathroom with functional storage and personalization. 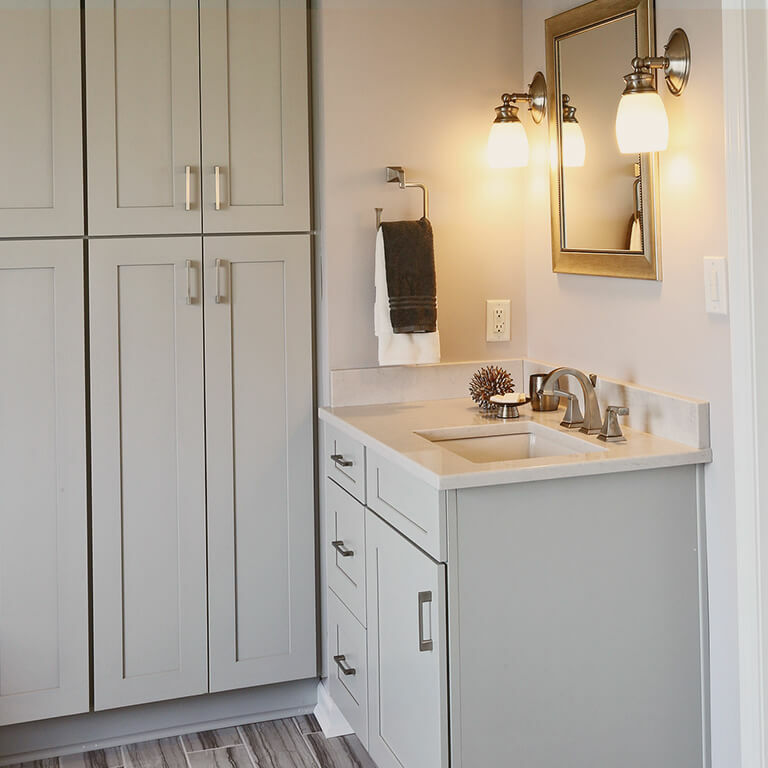 We offer factory-direct Marsh custom bathroom cabinets, a vast product line that uses smart storage solutions to ensure that your space will simplify your morning routine and help you unwind as you end the day. Vanities in a number of sizes can accommodate single or dual sink configurations. Tall cabinets provide a level of organization that guarantees your essentials are always within reach. 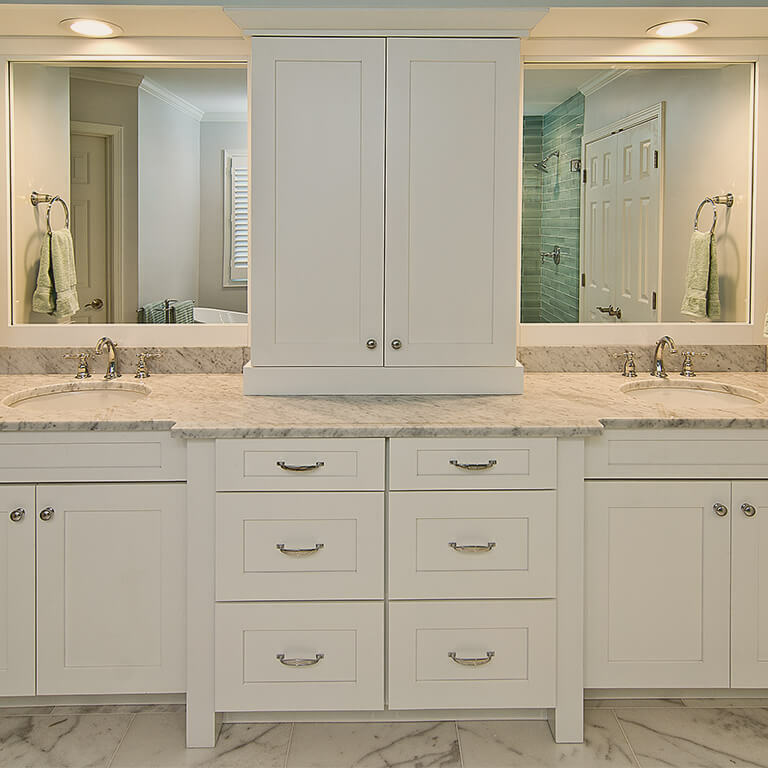 Custom cabinet designs ultimately eliminate cluttered countertops by creating added space for extra bath towels, hair styling tools, and other bathroom supplies. Contact us or visit one of our five North Carolina locations if you have particular, unique ideas in mind. Our experts can provide custom cabinet solutions to make your vision a reality. For more specific projects, we offer additional product customization. As semi-custom brands, Marsh Cabinets and StarMark Cabinetry leave room for you to further personalize your space for relaxation.